Director Brett DeJager chats about his upcoming horror movie. This July, Wild Eye Releasing lets loose the next iconic movie monster! 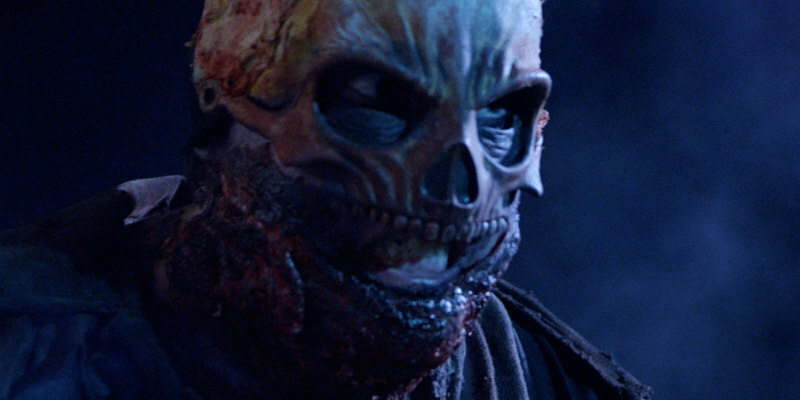 While transporting the legendary killer Bonejangles, a group of police break down in a town cursed with monsters, and must release him to survive! Reggie Bannister, Elissa Dowling, Kelly Misek Jr., Julia Cavanaugh, Devin Toft, Jamie Scott Gordon, Lawrence Wayne Curry, and Hannah Richter star in a Brett DeJager film, written by Keith Melcher. 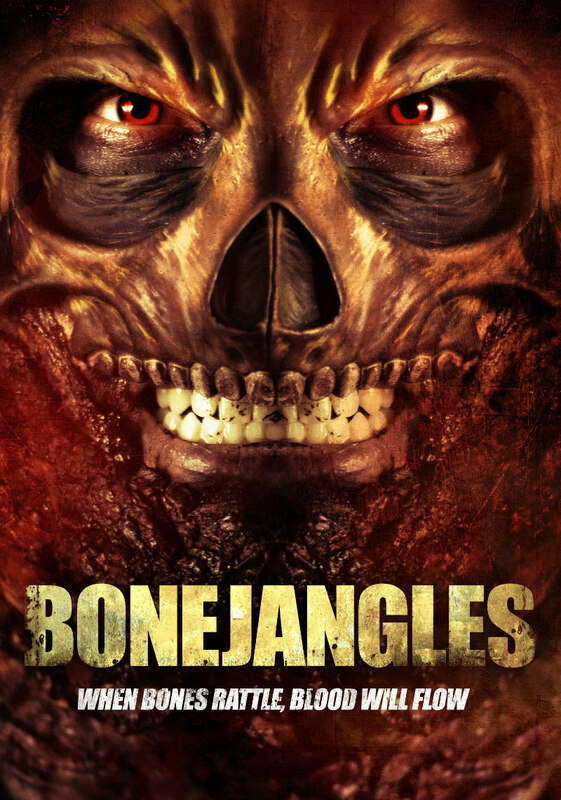 Bonejangles stalks VOD July 18th. What makes a good movie monster? The psychology behind 'monsters' and what scares people is fascinating. What one person would consider to be a good movie monster may not resonate with another, and vice versa. For me, a good movie monster with the intent of scaring me needs to be ambiguous. I need the filmmakers to leave a lot to the imagination and let my brain fill in the blanks. It's the most effective way to scare me or to get under my skin. If the monster is shown too much and becomes too predictable, it loses its appeal. But if the filmmakers present just enough of the monster and let my brain do the rest... I think that's the best approach to get me hooked. Unless it's a cheesy b-movie monster flick that's meant to be fun... if that's the case then the filmmakers should just embrace the monster as is and have fun with it. Who were some of your faves growing up? I think my favorite horror movies growing up are the same as a lot of horror fans: House, A Nightmare on Elm Street, Evil Dead, Re-Animator, Fright Night, Creepshow, Sleepaway Camp, Child's Play, Halloween, The Thing, Friday the 13th, Critters and Killer Klowns from Outerspace. Some of the best horror movies of the '80s and '90s effectively utilised horror and comedy. Is that a hard balance to write? Absolutely! Developing a story from its infancy into something that resonates with people can be a daunting task. Especially when it comes to mixing horror and comedy. Finding that perfect balance is difficult. Sometimes you hit gold...sometimes it doesn't go so well. Did you struggle with the tone at any time? Did it change as the script evolved? I feel like we did a really good job in pre-production and knew exactly how we wanted Bonejangles to come across to our audience. This helped going into production because we, I felt, were able to be consistent throughout filming. It was always meant to be a horror-comedy that didn't take itself too serious. Anything you did on this film that you wouldn't do next time around? That's a really tough question! I'd probably go into production with a slightly bigger crew and concentrate more on practical effects and pulling off great on-screen kills. How long of a journey has this been from script to screen? I believe I got my hands on the first draft of Bonejangles sometime in the second half of 2013. We filmed later the next year and fast forward to now! A long journey in which I've learned a lot and have made numerous close friends.